Congrats to our newest Magistrate Judge, Lauren Louis, who was officially sworn in last Friday. Here's the link to the information on the court's brand new website, which looks much nicer and more streamlined. The blog first reported on Louis back in November. Congrats to Judge Louis! 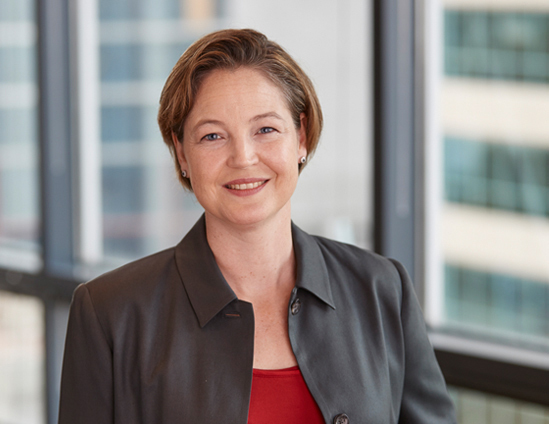 She is a super nice person and will be a great magistrate. The many descriptions bestowed on Fane Lozman over the years include political gadfly, relentless opponent of public corruption, and bored rich guy always spoiling for a fight. If every town has a you-can’t-shut-me-up activist who second-guesses council members and dominates the public comments portions of meetings, few have elevated the art like Lozman. He has offered a $50,000 reward for dirt on local politicians and taunted them at a ribbon-cutting with an airplane flying overhead. “Adios,” said the banner that called the council corrupt. So remarkable are his battles with the political leaders of this town of 35,000 people that they have drawn the attention of the U.S. Supreme Court. The latest rendition of Lozman v. City of Riviera Beach has grown from a ham-handed attempt to cut him off at a city council meeting into a major free-speech showdown that will have nationwide implications for citizens arrested — as Lozman was — by government officials they criticize. The court will hear arguments in the case Tuesday. The first time Lozman and the city met at the Supreme Court, the justices reviewed Lozman’s claim that Riviera Beach had improperly used federal admiralty law to seize (and later destroy) his two-story, plywood-and-French-doors houseboat, moored at the city marina. The court ruled 7-to-2 against the city, saying Lozman’s houseboat was more house than boat. At issue is Lozman’s arrest at a city council meeting in November 2006. During the public comments portion of the meeting, Lozman began to use his three minutes to talk about his favorite subject: corruption in Palm Beach County, where Riviera Beach is located. Wade, who was presiding at the meeting, immediately stopped him. If he continued to rant about a county official at the meeting of the city council, she warned, he would be arrested. “Carry him out,” Wade told a police officer. Lozman was led away in handcuffs and spent hours in jail. The episode can be seen on YouTube. More than 11 years later, there have been dropped charges and court hearings, a 19-day federal trial in which Lozman served as his own attorney and a return trip to the appeals court in Atlanta that ruled against him in the houseboat case. This time at the Supreme Court, Lozman is supported by First Amendment organizations, the American Civil Liberties Union and a coalition of media organizations who say Lozman’s fight is especially important at a time when protests of government policies are on the rise and government officials are geared up to shut them down. The city of Riviera Beach, meanwhile, is backed by the Trump administration, the District of Columbia and 10 states who say that showing there was probable cause for an arrest — as a jury found in Lozman’s case — should be the end of a retaliatory arrest claim. The big debate of the day is whether teachers should be armed. Rumpole discusses it over at his blog today. Sheriff Israel's answer during the town hall was the best one I've heard: "Teachers should teach" and not be armed. What about judges? Former Chief Judge Norman Roettger (1930-2003) used to carry on the bench even though guns were not permitted in the federal courthouses. He also allowed his court reporter to carry. Judge Roettger was quite a character. He had a huge handle-bar mustache. He was a maverick. One of my first hearings was in front of Judge Roettger. I was a federal public defender and it was a change of plea. And the government had just started trying to get appellate waivers in agreements. I couldn't get this new prosecutor to take it out and I was very frustrated. My supervisor at the time told me to leave the waiver in the agreement and watch what happened when Roettger saw it. Roettger BLASTED the prosecutor. He asked him whether he worked for the Department of Justice or the Department of INJustice. Why would they want the defendant to waive appeal. What if the judge made a mistake. Roettger took out a big sharpie and crossed it out in a very dramatic fashion and told the prosecutor to come sign the cross out. It was quite a show. Who has some good Judge Roettger stories? Is Customs asking people for their papers in the courthouse? I have heard it from reliable sources that agents from Customs and Border Protection have been seen in the Wilkie Ferguson Courthouse asking people for identification. Has anyone else seen this? Are people going to federal court now to worry that they are going to be confronted by federal agents? Don’t our federal agents have better things to be doing? This is a personal post, so forgive me in advance. 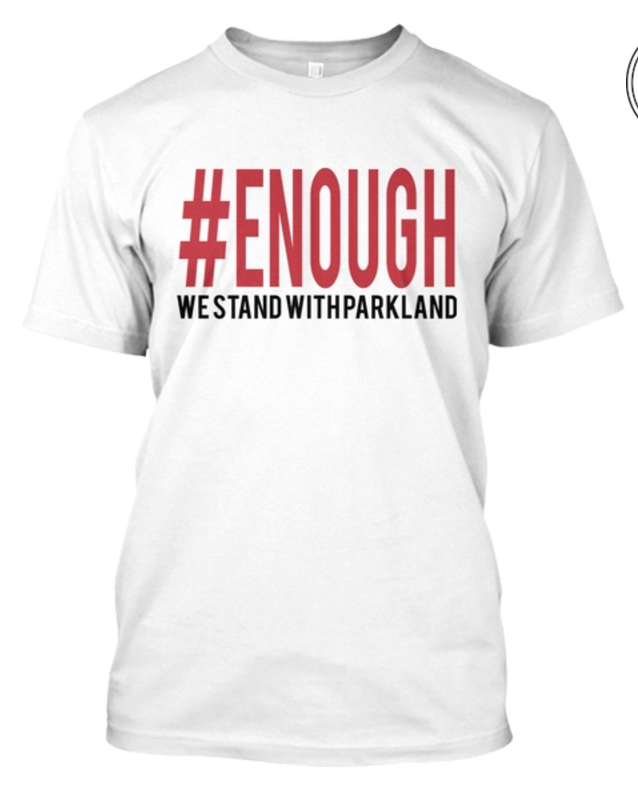 My15-year old daughter’s nonprofit organization is trying to raise money for the victims’ families in Parkland. She is a high-school freshman and wants to help. Her nonprofit, sharingwear.org, sponsors a new charity each month and donates all profits to worthy causes. 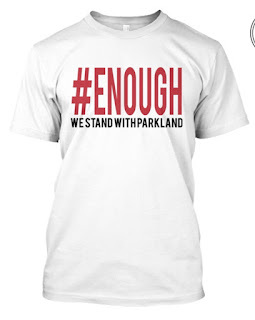 She has designed a special shirt devoted to the Parkland victims. 100% of the profits will go to the Marjory Stoneman Douglas Victims’ Fund. These kids, who are trying to make change, are really inspiring. Being "a little defensive" is not enough for a Terry Stop. Patrick Heard appeals his conviction for possession of a firearm by a convicted felon under 18 U.S.C. §§ 922(g) and 924(a)(2). After careful review, with the benefit of oral argument, we conclude that the officers who arrested Heard lacked reasonable suspicion to conduct a Terry1 stop. Because his motion to suppress should have been granted, we vacate Heard’s conviction and remand for further proceedings consistent with this opinion. Bisker parked his car and approached Heard. Bisker asked Heard whether he had heard gunshots; Heard said that he had and indicated that the gunshots came from the woods behind him. Bisker asked Heard for identification, and Heard provided him with ID. Heard’s identification did not confirm that he lived within the apartment complex,4 so Bisker asked where Heard lived. Heard said that his mother lived there and pointed to the apartment building closest to where he was standing with his small dog. Bisker believed this response to be “a little defensive” and an indirect answer to his question. Doc. 69 at 20. Bisker then asked Heard for his mother’s apartment number, and Heard did not provide a number.5 Bisker observed that Heard was swaying slightly. Based on his swaying and “overall demeanor,” Bisker thought “possibly [Heard] . . . wasn’t supposed to be there.” Id. at 20-21. At some point during the brief conversation Heard told Bisker he was there to walk his dog. Why is this opinion unpublished? Please RSVP to: FLSD_Program@flsd.uscourts.gov and seating in the ceremonial courtroom will be on a first-come first-served basis. All three have strong links to Miami-Dade County: They are Circuit Judges Rodolfo “Rudy” Ruiz and Rodney Smith, who are serving state judges in Miami-Dade County, and former federal prosecutor Roy Altman, who is now in private practice. This is the president’s first opportunity to shape the bench in South Florida for decades to come. But none of the three men, or the other seven candidates, are considered controversial selections, local judges and attorneys said. White House officials have indicated the president wants to schedule Senate confirmation hearings for the trio. They are not technically nominees yet and will have to pass an extensive background check before they could be formally nominated. All three received official phone calls notifying them they had made the cut, several sources said. The president had been expected to name all of his choices for five vacancies but has not done so yet. It is unclear why. 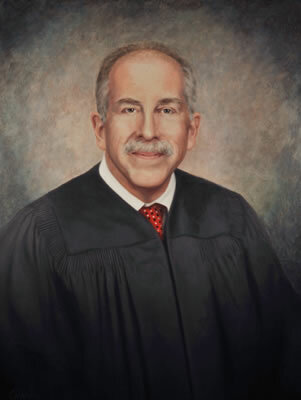 From 1982 to 1986, Bill Turnoff presided over the major crimes unit in the U.S. Attorney’s Office for the Southern District of Florida — the busiest section in the busiest office in the country. Every day, full-tilt boogie. In 1984, after few years as an associate at a big firm, I decided I needed more adventure and more experience — after all, that’s why I’d come to Miami in the first place despite dire warnings from classmates and others that Miami was a dangerous place. U.S. District Judge Kathleen Williams, then just Kathy Williams, and I started at “The Office” in June 1984. After a mandatory stint in appeals, I went to major crimes. My chief, Bill Turnoff, was from Philadelphia. You only need to hear one sentence out of his mouth to pick up the accent. A Cornell law school grad, he sat in a smallish corner office on the seventh floor. Mr. Potato Head sat on his desk. The air was redolent of pipe tobacco, and his door was always open. Despite the chaos outside our doors, major crimes was run as a quality operation, with standards as exacting as any white-shoe law firm. Bill worked long hours, reading our indictments, affidavits for search warrants, pleadings, sentencing memos — most pieces of paper that were filed with the court. He was exacting. No editor at a national newspaper or magazine could have had higher standards than Bill. If he found a comma out of place, a typo or a grammatical error, he circled it in red and brought it back to the assistant U.S. attorney who had presented the defective document to him. No comment, just handed back to the person for as many drafts as necessary for perfection. I was a former newspaper reporter used to editors and editing, but because I so adored the guy and didn’t want to disappoint him, I proofed everything multiple times before presenting it to Bill. Multiple sources have confirmed that Rudy Ruiz has been informed that he will be nominated by President Trump for one of the 5 open district court seats for the Southern District of Florida. Congrats to Judge Ruiz, who currently sits as a state trial judge in Miami-Dade County. Ruiz went to Georgetown Law and then clerked for Judge Moreno. Like Moreno, Ruiz started as a County Court judge, then became a Circuit Court Judge and now moves over to the federal bench. UPDATE — I have heard that Trump has also informed two others that they will be nominated and that he will “hold over” the last two spots. I do not know whether that means that 2 people from the current list will get those slots or whether they will be opened back up. THIRD UPDATE — Two sources have confirmed these other two names. I feel pretty good that these are the three names. President Trump unveiled another wave of judicial selections today, but still nothing for the 5 open slots here in the Southern District of Florida. Who was Justice Ginsburg talking about here? "I respect all my colleagues and genuinely like most of them." Hahaha. That was her speaking at Columbia this weekend. In effect, all foreign lawyers, including U.S. attorneys, cannot enter La Picota anymore as lawyers — only as social visitors. After the [Joaquin] Perez scandal, it’s probably going to get worse. Colombia’s prison spokesman insisted no foreign lawyers were being barred from La Picota. What prompted the change in La Picota’s policy? About a year ago, a scandal erupted when an American attorney entered the prison, bribed guards and negotiated a huge payment to have a client put on a list that gives amnesty to members of a left-wing guerrilla group, the FARC, as part of its peace accord with the government. Other Miami lawyers who compete with Perez for high-profile drug trafficking clients said Colombian prison officials have made visiting their clients intolerable. The United States District Court for the Southern District of Florida is hosting a reception honoring Magistrate Judge William C. Turnoff for his 32 years of distinguished judicial service. The reception will be held at the Wilkie D. Ferguson, Jr. United States Courthouse, Miami, on Thursday, February 8, 2018, from 4:00 - 6:00 p.m.
Judge Turnoff is a great American. private attorneys Roy Altman and Melissa Visconti. The author of the Nunes memo, Kash Patel, has ties to SDFLA. He was an assistant state public defender in Miami. Then, an assistant federal defender. Then he moved to Washington, DC to become a DOJ terrorism prosecutor. For more than a year, an F.B.I. inquiry into allegations that Lawrence G. Nassar, a respected sports doctor, had molested three elite teenage gymnasts followed a plodding pace as it moved back and forth among agents in three cities. The accumulating information included instructional videos of the doctor’s unusual treatment methods, showing his ungloved hands working about the private areas of girls lying facedown on tables. But as the inquiry moved with little evident urgency, a cost was being paid. The New York Times has identified at least 40 girls and women who say that Dr. Nassar molested them between July 2015, when he first fell under F.B.I. scrutiny, and September 2016, when he was exposed by an Indianapolis Star investigation. Some are among the youngest of the now-convicted predator’s many accusers — 265, and counting. The three alleged victims then at the center of the F.B.I.’s inquiry were world-class athletes; two were Olympic gold medalists. Nearly a year passed before agents interviewed two of the young women. 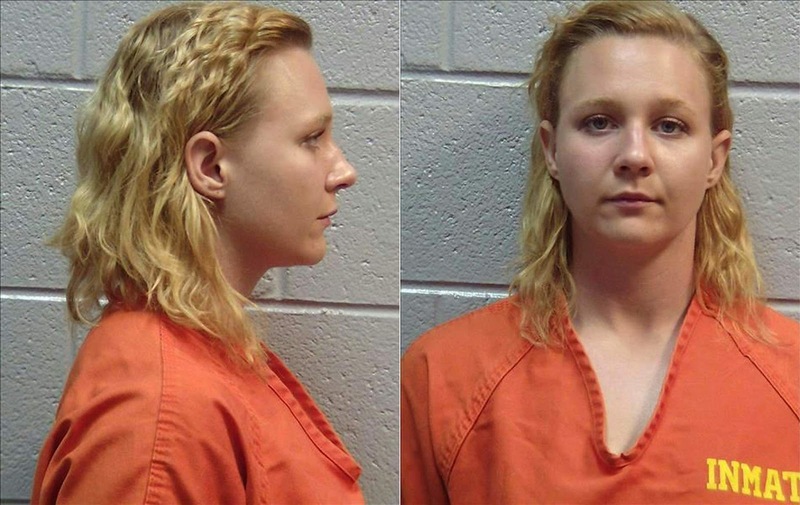 The 11th Circuit Court of Appeals affirmed Wednesday a district court’s order keeping accused National Security Agency leaker Reality Winner behind bars pending trial. A federal appellate panel ruled 3-0 to uphold a lower court’s ruling detaining Ms. Winner, 26, effectively seeing she remains jailed until her leak case is heard likely later this year. Ms. Winner was arrested in June 2017 in Augusta, Georgia, and subsequently charged in connection with sharing classified material obtained while employed at Pluribus, an Atlanta-based contracting firm, and ordered held until trial. Defense attorneys had sought to secure Ms. Winner’s release from jail prior to court proceedings starting, but the 11th Circuit quashed that bid by upholding a lower court’s pretrial detention order, citing the likelihood of the accused fleeing the country. “[T]he district court did not err in finding by a preponderance that Ms. Winner is a flight risk and that no condition or combination of conditions will reasonably assure her appearance,” the appellate panel wrote in the 5-page ruling affirming the detention order. Gustavo Falcon, on the run for 26 years, pleaded guilty today before Judge Moreno. He's looking at 11-13 years under his plea agreement and prosecutors won’t charge him (for being a fugitive) or his wife and their two grown children (for hiding him). Meantime, a naked bank robber was found not guilty yesterday in a bench trial before Chief Judge Michael Moore. You are probably reading that last sentence a few times... okay, okay -- it wasn't a straight not guilty. It was a not guilty by reason of insanity. And the parties agreed. Here's the Sun-Sentinel coverage by Paula McMahon. I've never seen that before in this District. Anyone else?